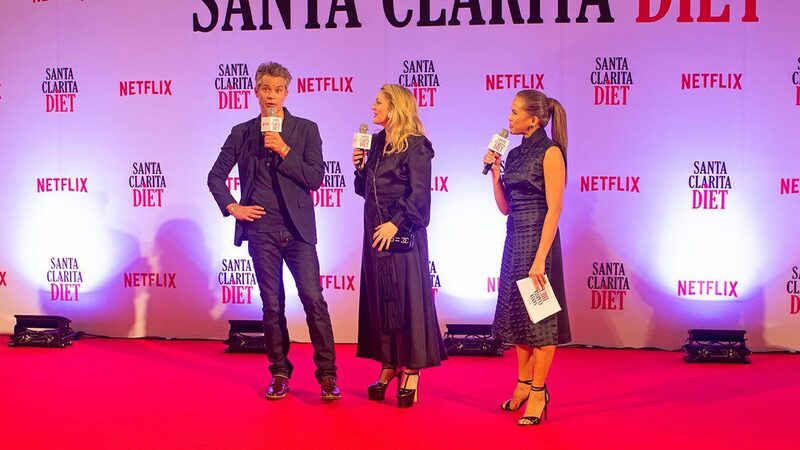 Like most Netflix series, the second season of Santa Clarita Diet picks up where it left off: with a flesh-hungry Sheila in the basement, her family trying to find Serbian bile to create a serum that will stunt her zombie metamorphosis. It’s a lot to, ehem, digest, especially if you haven’t screened the first season (please do that, quick!). But this is actually what makes the dark family comedy unique—it’s an overwhelming amalgam of genres and emotions that have been put into a high-powered blender and stirred into a sick, twisted smoothie you wouldn’t mind gulping down. 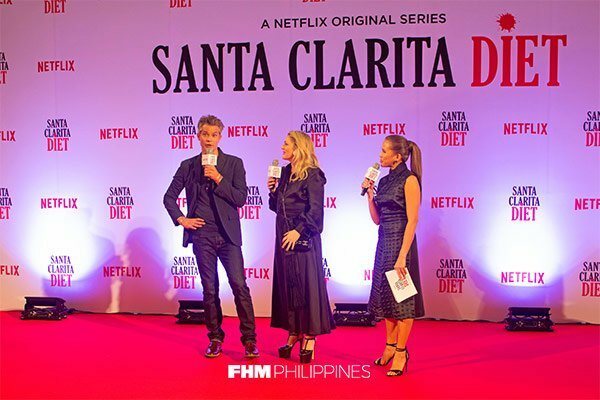 It’s wickedly entertaining material, and fans of the show were not shy in letting its stars know just how excited they felt. 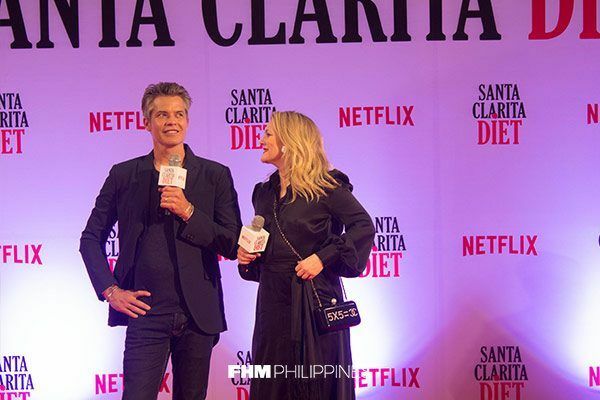 Drew Barrymore and Timothy Olyphant, Santa Clarita’s two leads, were present yesterday during the season 2 premiere in SM Mega Mall, where a Manila red carpet welcome greeted them (this usually includes a lot of giddy screaming). Both noticeably touched by the outpour of support, a bright-eyed Drew and Tim addressed the crowd by agreeing to selfies (of course) and explaining how magical their experience in the country has been. This is Drew’s second time in Manila. Her visit two years ago for her makeup company made headlines when she was snapped by a fan inside the mall. 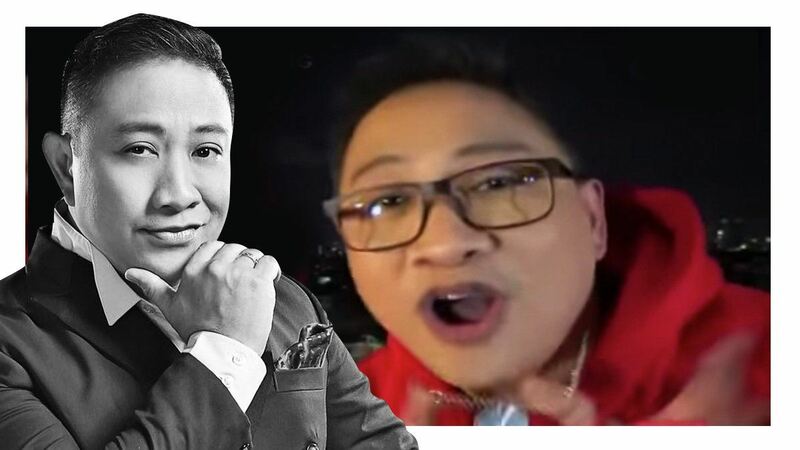 Timothy, on the other hand, shared that he actually lived in the Davao when he was younger while his father was based in the country for work. 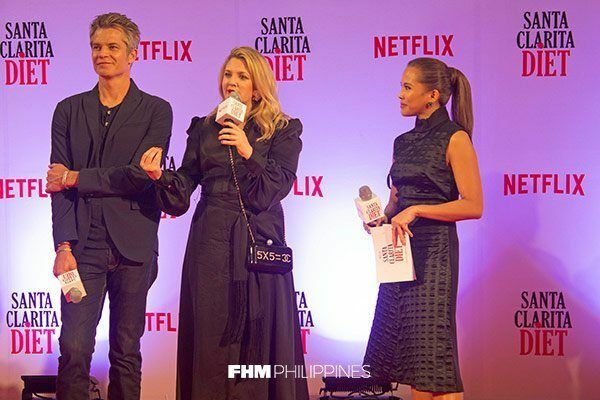 We hope to see you guys back in the PH again, soon!